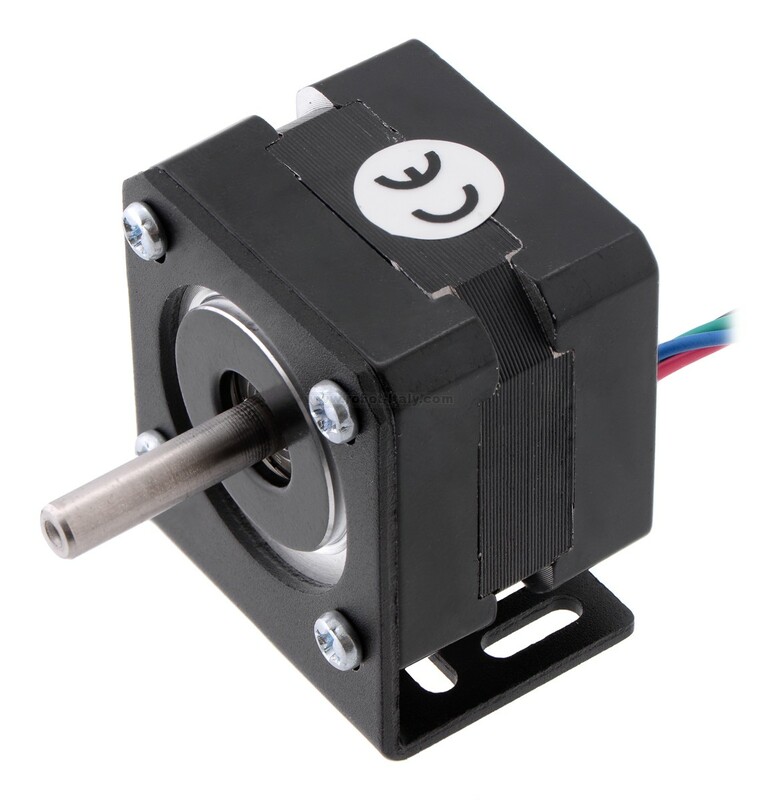 This black anodized aluminum bracket lets you securely mount typical NEMA 14-size stepper motors to your project. 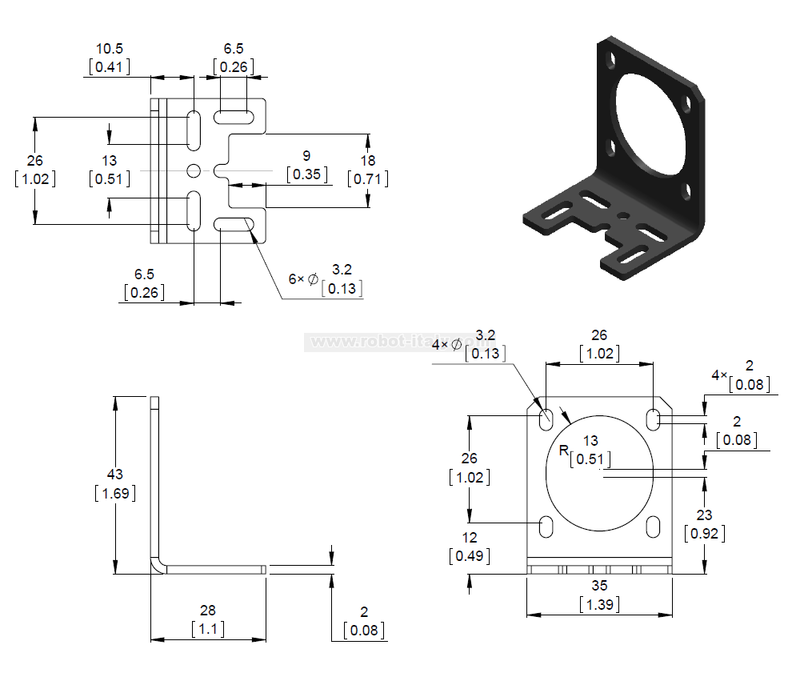 The bracket features several slots and holes for a variety of mounting solutions, and four M3×5mm screws are included for securing the motor to the bracket. 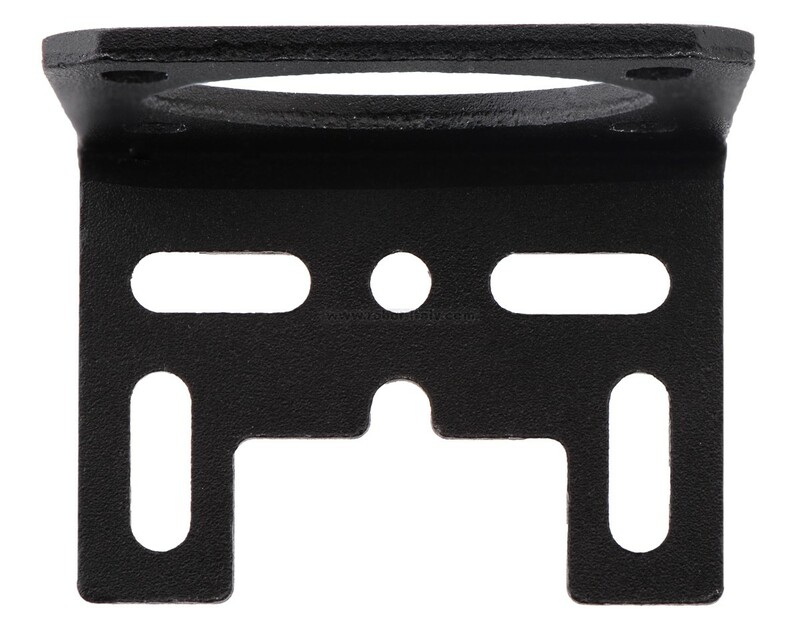 This lightweight (about 7.5 g) but strong bracket is made from 2mm-thick black anodized aluminum and is specifically designed to work with the typical faceplate mounting holes of NEMA 14 stepper motors. The slots through which the motor mounts to the bracket allow for 2 mm of play for fine-tuning position, and four 5 mm M3 screws are included for securing the motor to the bracket. 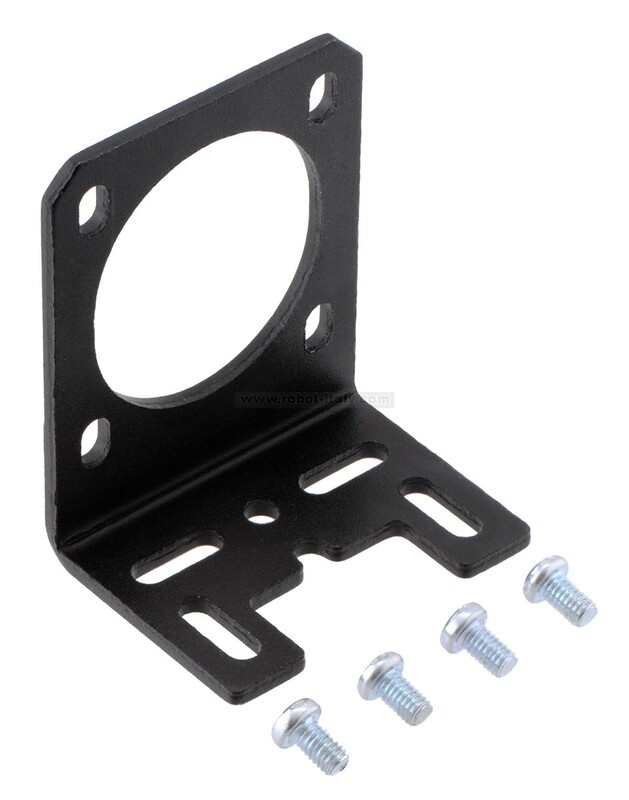 These M3 screws work with all of the NEMA 14 stepper motors we carry (items #1207, #1208, and #1209); different screws might be required when using this bracket with stepper motors from other suppliers. 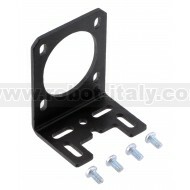 The other side of the bracket includes a variety of slots and holes that can be used with #4 and M3 screws.